9 Litre Water Fire Extinguisher from Savex. 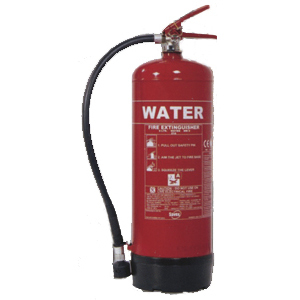 Water is one of the most useful of all available fire extinguishers, and our water extinguishers offer excellent fire suppression for attacking freely burning materials such as paper, cloth and wood. When a fire extinguisher refill is required it can be cheaper to buy a new one at the prices we offer.